Ada pertanyaan untuk Happy Pushkin Hotel? Menawarkan akomodasi berkualitas di distrik kebudayaan, melihat-lihat, melakukan aktivitas bisnis di Saint Petersburg, Happy Pushkin Hotel adalah pilihan populer bagi para wisatawan bisnis dan plesiran. Hotel ini tidak terlalu jauh dari pusat kota, hanya 0.1 Km dari sini dan umumnya hanya membutuhkan waktu 30 menit untuk mencapai bandara. Sebagai sebuah tempat untuk beristirahat dan bersantai, hotel ini terletak hanya beberapa langkah dari berbagai obyek wisata kota ini seperti Museum Negeri Sejarah St Petersburg, Pulau New Holland, New Holland. Di Happy Pushkin Hotel, pelayanan istimewa dan fasilitas yang unggul akan membuat pengalaman menginap Anda tidak terlupakan. Untuk kenyamanan para tamu, hotel ini menawarkan WiFi gratis di semua kamar, resepsionis 24 jam, layanan kamar 24 jam, penyimpanan barang, Wi-fi di tempat umum. Semua akomodasi tamu dilengkapi dengan fasilitas yang telah dirancang dengan baik demi menjaga kenyamanan. Disamping itu, hotel memiliki berbagai pilihan fasilitas rekreasi yang menjamin Anda melakukan bermacam hal selama menginap. Ketika Anda mencari penginapan yang nyaman di Saint Petersburg, jadikanlah Happy Pushkin Hotel rumah Anda ketika Anda berlibur. Rooms are great,big and original furniture. It is ideal to take fotos and feel the historic ambiente of St.Petersburg. Breakfast buffet very good. Location is a little quiet but if you walk over the next bridge ther are plenty of cafes and restaurants. We really enjoyed our stay here. Our room was spacious, the beds very comfortable, with a lovely bathroom, and it was very quiet. The buffet breakfast each morning was varied - fresh fruit, yogurts, cooked foods, etc, and the staff were generally very helpful and attentive. The hotel itself is very close to the river and in easy walking distance of the sights of this most beautiful of cities. The building itself also has an interesting history, which is detailed in in-room booklets. Good location, Friendly staff, Quiet Neighbourhood. 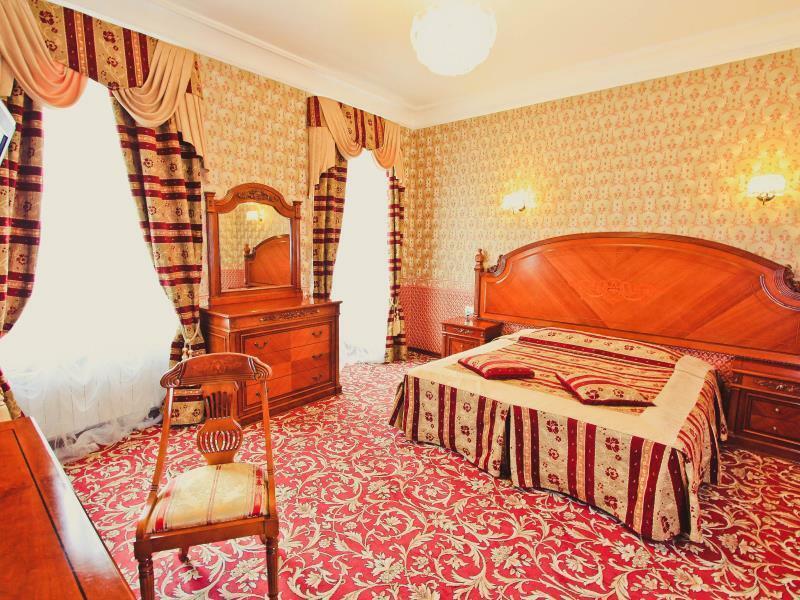 My stay at the Happy Pushkin Hotel was very nice. The staff is very helpfull and friendly. They are mainly young girls and boys but all of them are very polite, kind, eager to help and experienced with good atention to the guests. I arrived late night into the hotel and Yuri was very helpful ushering me into the room and carrying luggage. The breakfast is very good and I had no complaining with the cleaning and room service. 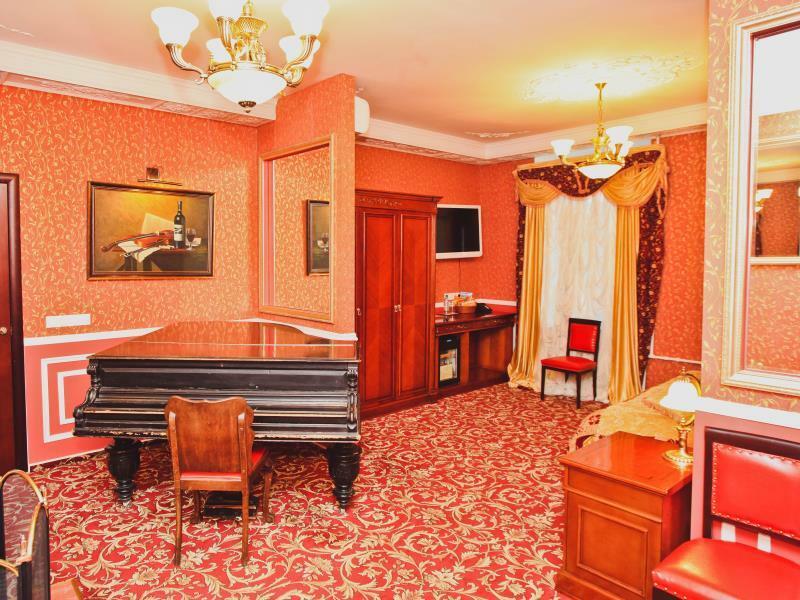 Hotel is 10-15 minutes walk to Hermitage Museum, 15-20 minutes to Saint Peter and Saint Paul Fortress or 10 minutes walk to commercial downtown with Saint Isaac Church, Kazan Cathedral or the Savior of the Spilled Blood Church among other amenities. 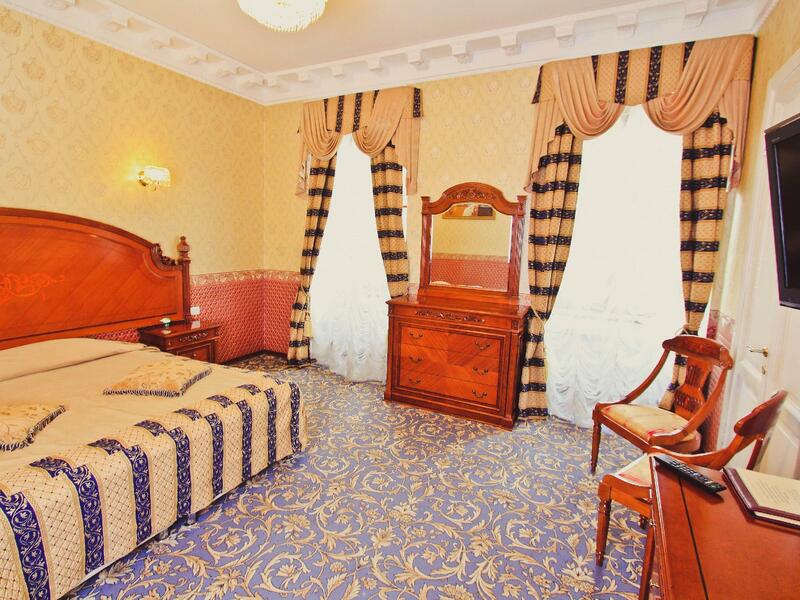 I would certainly reccomend this hotel to visitors of Saint Petersburg.I wish you also have a good stay there too !! Staff were very helpful and the room was big and clean. Location was good as well. It was abit disconcerting that the lights in the hall way were off to safe electricity and took some time to come on when you walked past. 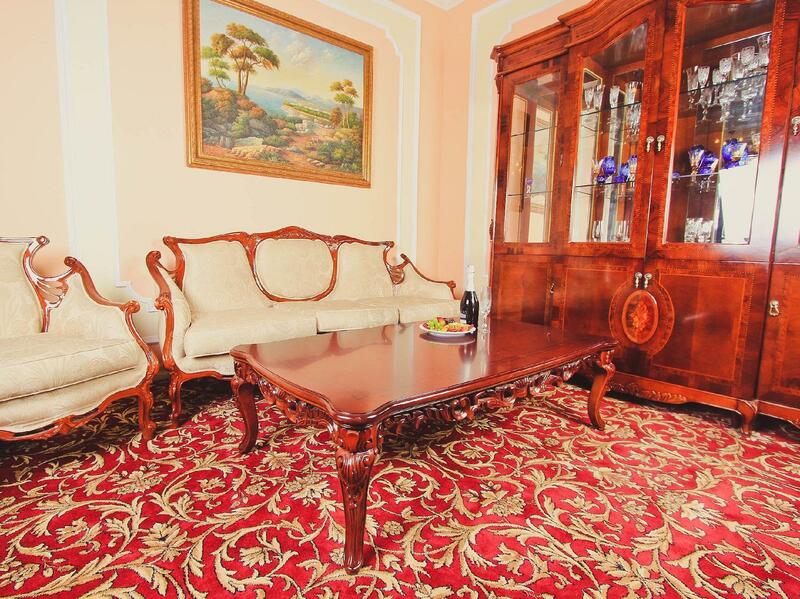 Old fashioned looking hotel, neoclassic, relatively good location to access the city center, large rooms, all facilities. Cleanliness, room comfort and staff performance. We were amazed with the hotel conditions, interior design and paintings, the size and cleanliness of the room, great breakfasts and pleasant staff. The location of the hotel very good: In just 10-15 minutes by walking the greatest tourist destinations in Saint Petersburg can be reached. We warmly recommend the Happy Puskin Inn: a great value for money. We really enjoyed our stay here. Just a 15minute walk to the major sights, plus a plethora of restaurants and bars within walking distance. The hotel is very nicely decorated, and the staff are very helpful arranging local priced taxis for the airport and train station. Would definitely stay again. The overall staying was quite pleasant. Breakfast was decent with omelette and smoked salmon. The room was clean, warm, well refurbished, and very spacious. The double bed was comfortable enough. Generally good hotel with intersting history of the bulding itself. nice location, you can get walk arround the major sights by foot, in case you do not mind walking more than 20 minuties. The route itself to the main central sights is also considered as sightseeing. There are musuams and inetretsing sight (like "New-Holland", river bank, "English embankment" is nearby). Rooms are spacy and clean, in most rooms there are no aircondition. Basicaly it is OK for St. Peterburg weather. But during most hot summer days, it might be a minus. Also you should take in mind the problem of mosqito, the windows should be equipetd with mosqito net. As you need to open windows for night fresh air instead of aircon. Staff was nice, and we were lucky to get our room changed to the one with mosqito net. While firth night was troubled. In other areas, hotel is nice and can be recommended. We enjoyed our stay. The hotel is a bit off the beaten path and in a slightly seedy neighborhood, which accounts for its slightly lower prices than elsewhere in the city and its better-than-average room availability. The staff were invariably attentive and nice, and their English was better than in many St Petersburg hotels. On the downside, we had some technical problems with internet and appliances in the room, but the staff was solicitous and able to fix most of these. The decor (pink, pink and red, with pictures all over drawn from the life of Pushkin) is very appealing in a kitschy sort of way. The hotel has a very cute decoration (although beware should you dislike bright pink! 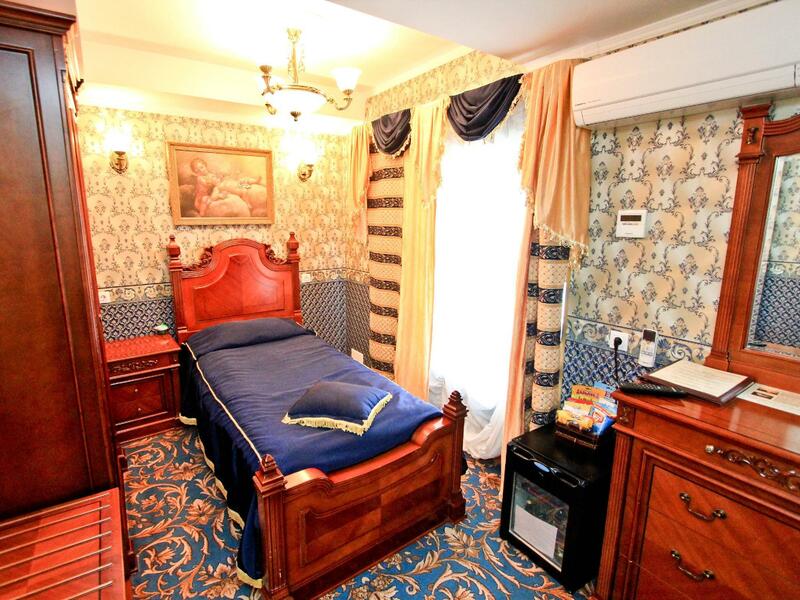 ), with paintings of Pushkin on the walls. The staff was friendly, helpful and could speak very good English. The stay was very agreeable. The hotel is located at around 10 min from the main landmarks. It is easy to walk around the city from there. The bathroom is big and modern. There is a nicely designed lift which blends in the old building structure (not necessary though unless heavy bags). The staff was very helpful and professional in arranging taxi airport transfer.